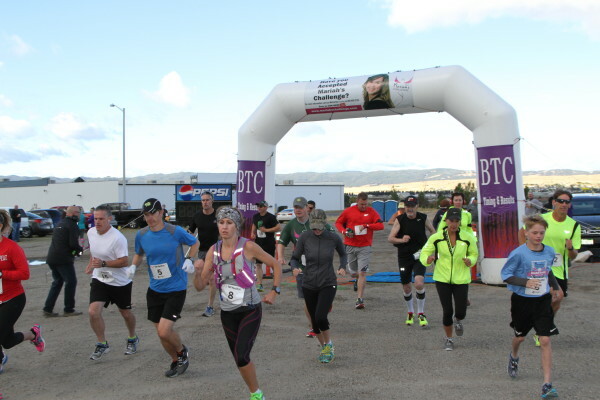 More than 200 runners and walkers participated in an annual event in Butte on Sunday morning, honoring those dedicated to ending underage drinking and drinking and driving. The participants braved the cool, overcast morning for the Fourth Annual Light Up Mariah 5K and 1 Mile Memorial Walk at the Butte Country Club. The run is held to raise money for Mariah’s Challenge, which was started in memory of 14-year-old Mariah McCarthy who was killed 10 years ago by an underage drunk driver. Her sister started this run so people never forget. “Just have Mariah’s Challenge be at the forefront so it keeps us in the minds of everyone. So the kids can be reminded of what it is, because it’s been 10 years and a lot of kids now probably don’t really know what happened or what it is,” said event organizer Jenna McCarthy. Conor McGee of Butte was the winner of the 5K run, crossing the finish line with a time of about 18 minutes.